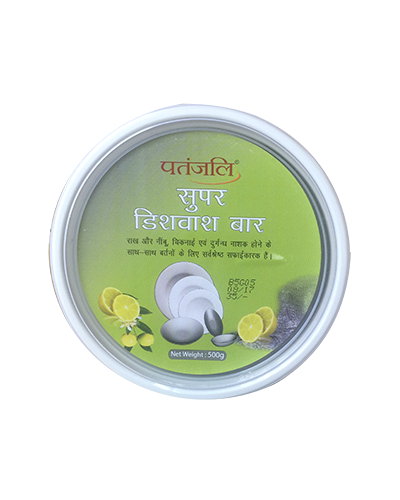 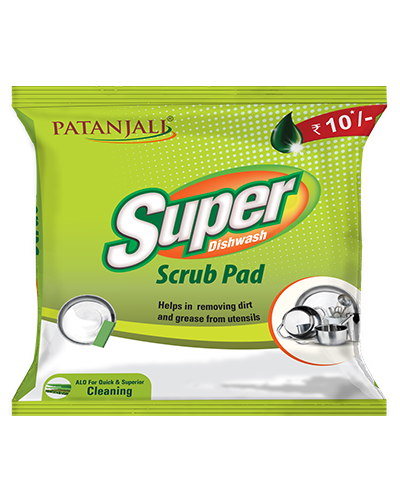 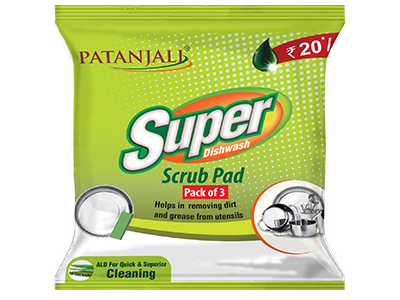 Patanjali Scrub Pad has a uniform coating of ALO. 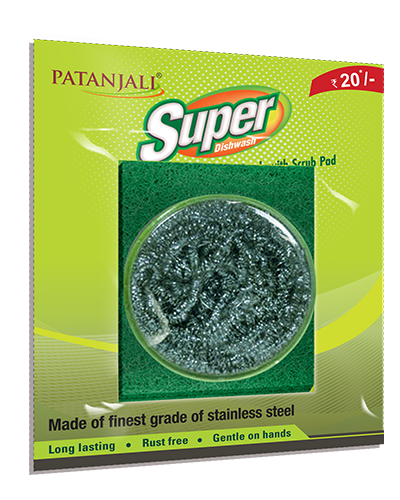 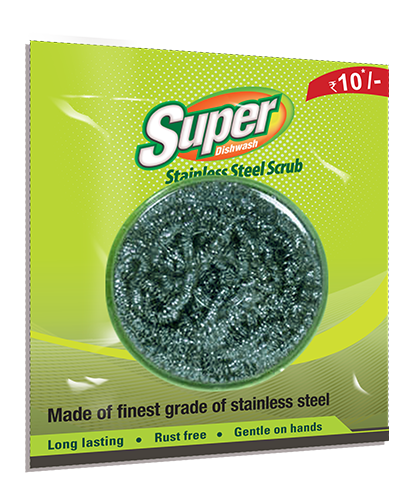 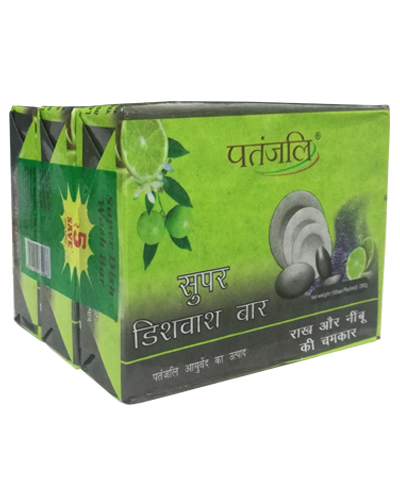 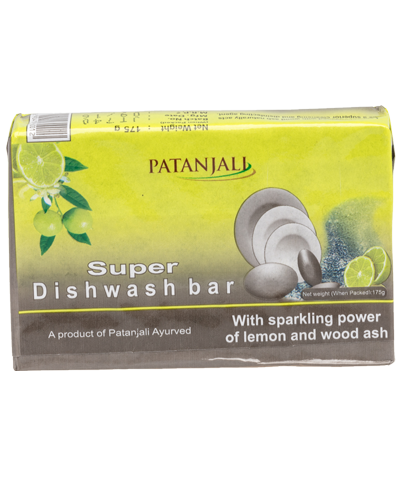 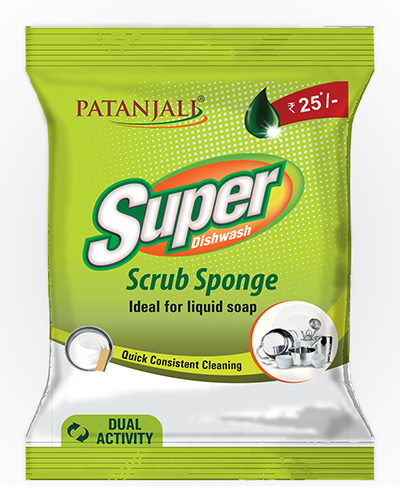 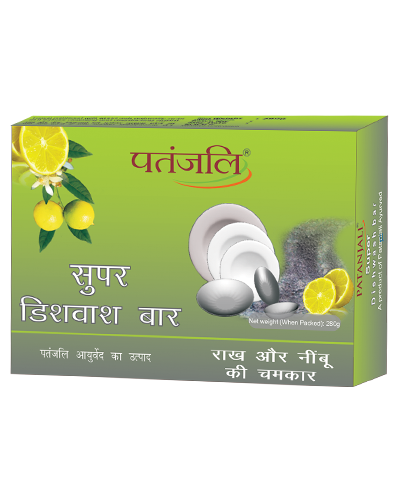 which helps in quick superior and also helps remove dirt and greasy materials from utensils. 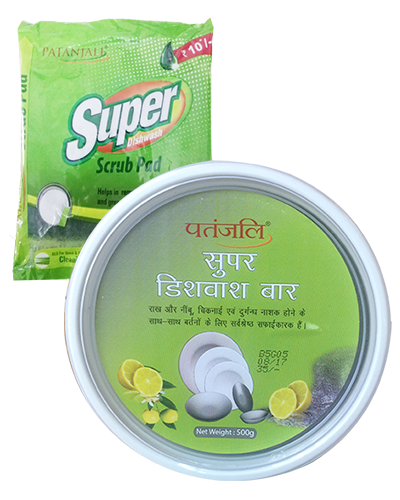 Helps in removing dirt and grease from utensils. 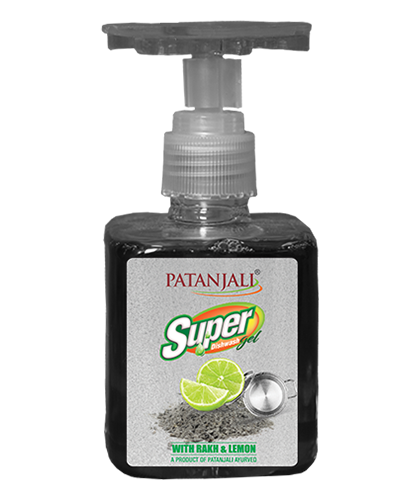 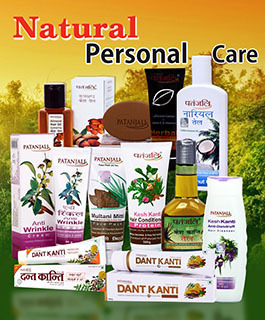 For better result, use with Patanjali Super Dishwash Bar or Gel.